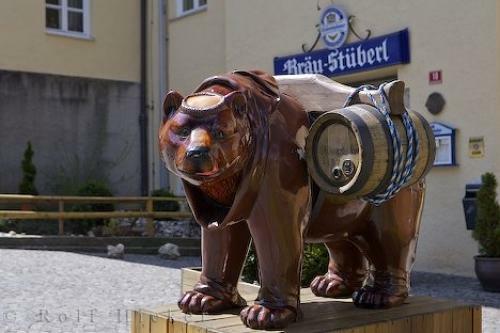 Freising, Bavaria in Germany is home to the famous Weihenstephan brewery. ... the world continues to change in Bavaria but during all the developments, achievements and setbacks, the beer at the Weihenstephan Brewery in Freising, Germany all always remained a constant factor. There is nothing more thirst quenching while visiting Freising, Germany than an icy cold Weihenstephan ale.Freising, Germany, Bavaria, Europe, Europe 2006. I photographed this photo with the digital SLR camera model Canon EOS-1Ds Mark II, aperture of f/5.6, exposure time of 1/100 sec. on ISO 100, as always I used a original Canon Lens, the focus lenght for this picture was 57mm.